Playwright David Geary grew up in a small Manawatū farming community, where his father was a shearer. 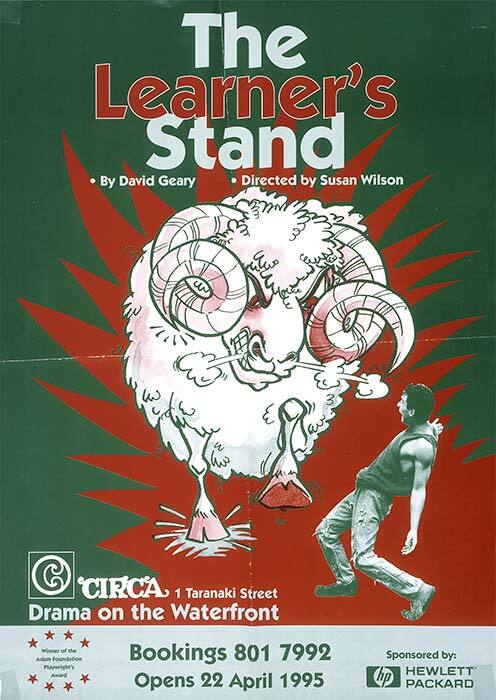 Geary's comedy The learner's stand (the title refers to the place in a shearing shed held by a novice) was first performed at Wellington's Circa Theatre in 1995. This is the poster for that production. The play won the Adam Foundation Playwrights' Award in 1994. It was published by Playmarket in 2010 together with Geary's Pack of girls, about a women's rugby team.